Newforce Solutions offers a wide range of engineering consulting services, including systems design, software and firmware development, management and process consulting. Newforce Solutions also works in live acoustic music, offering sound engineering and recording services. Terry has a long history of embedded systems development, primarily in Storage and Networking product development. He was the lead designer on early internet (actual, arpanet back then) connectivity devices, using X.25, HDLC, SDLC and async interfaces. 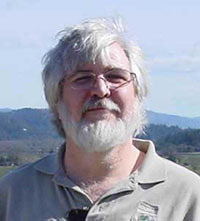 He also developed both network and storage interface systems for Encore Computer's Multimax, one of the first "super-mini" multi-processor computers running Unix. Terry has also developed high performance data network hardware/software systems supporting Fibre Channel, SSA, SCSI and SATA. He was the primary architect for Pathlight Technologies' SAN Gateway products, and ADIC's high performance FC network systems. He also led development at Xyratex in the development of high performance RAID controllers. Embedded controller for management of an Active Magnetic Field Compensation system. This work included implementation of an embedded web site, hardware interfacing with a CPLD and DSP subsystems. Design of a medical training simulator for veterinary students. Embedded system for musicians to provide a web based song book and integrate with an external MIDI drum machine or other MIDI devices. The system automatically loads the drum machine program based on the song selected on the web site and then provides the time base for MIDI devices. Web Based Educational Software for Early Learning. An integrated system for sales and process management for a company providing lab testing services. A tunneling based service interface to allow remote management and diagnostics of embedded systems. General web sites and web stores. Newforce Solutions' owner, Terry Kelleher, has served as the Head Techie for WVBR's Bound for Glory for 20+ years. He also works with the Cornell Folk Song Society and Valley Folk and with local Contra Dance groups. He has mixed hundreds of live concerts and dances, ranging from singer/songwriters to large bluegrass and old time bands. Terry provides sound for the performance stage at the annual Fiddler's Gathering in Watkins Glen State Park, presented by the Arts Council for the Southern Finger Lakes. Terry is available for live concerts, small festivals and recording sessions in central New York.